SYNOPSIS: A Bittersweet Tale of Love, Loss, and the Power of Royalty. When Roger Bigod arrives at King Henry II's court to settle a bitter inheritance dispute, he becomes enchanted with Ida de Tosney, young mistress to the powerful king. A victim of Henry's seduction and the mother of his son, Ida sees in Roger a chance to begin a new life. But Ida pays an agonizing price when she leaves the king, and as Roger's importance grows and he gains an earldom, their marriage comes under increasing strain. Based on the true story of a royal mistress and the young lord she chose to marry, For the King's Favor is Elizabeth Chadwick at her best. MY REVIEW: There’s not much more I can say about the brilliance of Elizabeth Chadwick that hasn’t already been said by many. 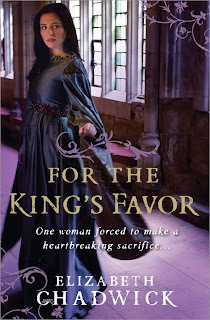 Medieval fiction doesn’t get any better than her novels and For the King’s Favor is no exception! Fans of William and Isabel Marshal from The Greatest Knight and The Scarlet Lion will be sure to love the equally lovable couple, Roger Bigod and Ida de Tosney. Ida meets Roger after he defects from his father and joins the service of King Henry II. At the time of their first meeting Ida is the ward of Henry, as well as his reluctant mistress. Being a royal mistress is not a role that she wanted, but when the King beckons you have no choice but to jump. Roger, being possessed with the knowledge that you don’t mess with what belongs to the King, tries to play it smart and keep his distance from the beautiful Ida, but she has set her sights on him and doesn’t make it easy for him to ignore her. It was really great to see the woman being the pursuer and seeing Roger sweat! Thanks to Chadwick’s use of Akashic records readers are treated to more intimate details about Roger and Ida that we wouldn’t normally have known, such as Ida’s talent in needlework and Roger’s affinity for hats. I believe this brings to her novels an authenticity that is unique to her alone. It’s about as close to a fly in the wall as we can get, that’s for sure! 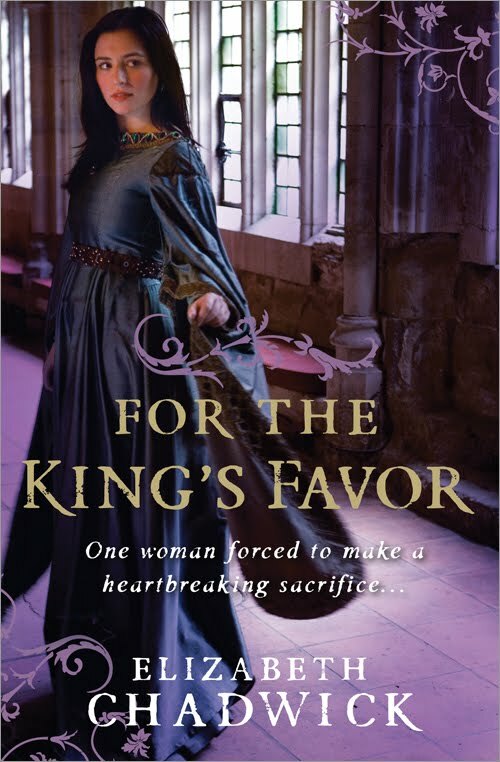 Smart writing, a mastery of the time period and impeccable research is what we’ve come to expect from Elizabeth Chadwick and she certainly brought it with For the King’s Favor . Make sure to check out To Defy a King (to be released in the US on March 1, 2011), which continues the story of the Bigods and Marshals and features Hugh Bigod (Roger and Ida’s son) and Mahelt Marshal (William and Isabel’s daughter)….the offspring of champions as I like to call them! FTC DISCLOSURE: I was sent this book from the publisher for review. Can't wait to hear what you think about To Defy a King when you read it. I thought that Roger and Ida are different than they were portrayed here for the most part! I had no idea she uses the Akashic records for her research -- very cool! This sounds like a great read! I've never read anything by Chadwich before and this sounds like a good book to start with. Thanks for sharing your thoughts on it! This is be a book I will have to read. Her description on her website of how she uses the Akashic records id most fascinating. Thanks for the review. Great review! I love Elizabeth Chadwick and can't wait to read this novel. I especially love how you state that Roger and Ida are as fantastic of a couple as William and Isabel. I am going to die with the knowledge that I know tons of great authors, works of whom I have not read. I so want to read this authors wok. I had one of my reviewers read this book and after reading her write-up, I'm dying to read it as well! We did an interview with Elizabeth Chadwick and she just sounds like such a fascinating person! This is a book that I really enjoyed. It was my first Elizabeth Chadwick book and I hope to read many more. Awesome review! I loved this one too!! The akashic is very interesting. I loved this book - and it really felt like part of the William Marshall books. I had a hard time writing my review, to try an make it different than my previous two chadwick reviews - but when you love them for the same reasons it's pretty difficult. Can't wait for the next one!!! I really have to read this author! Wolf Hall now in Paperback...New Giveaway!